As if we needed another reason to adore Gina Rodriguez, she’s done it again. 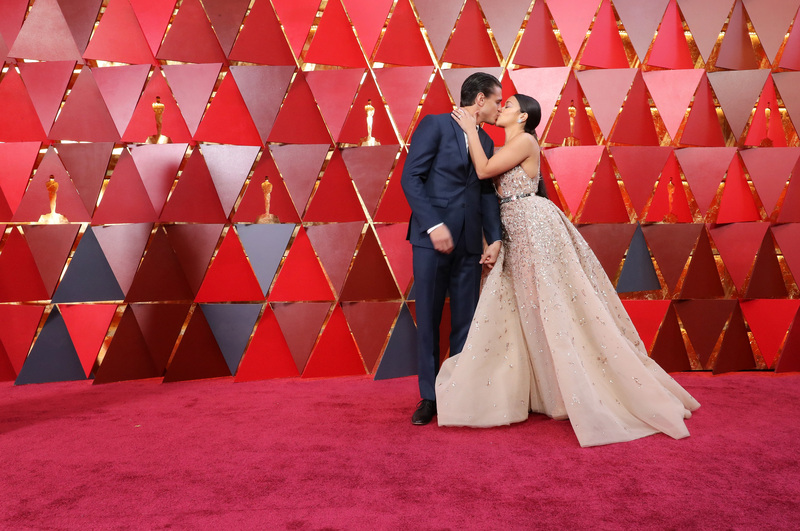 On the red carpet at Sunday’s Oscars, Gina Rodriguez and her boyfriend, Joe LoCicero, were giving us serious heart eyes as they smooched and got cozy posing for photos. If you’re looking for #RelationshipGoals, well… look no further. It’s a pretty big night for the Jane The Virgin star — she’s slated to present — so it’s no surprise that she decided to bring her BF along. 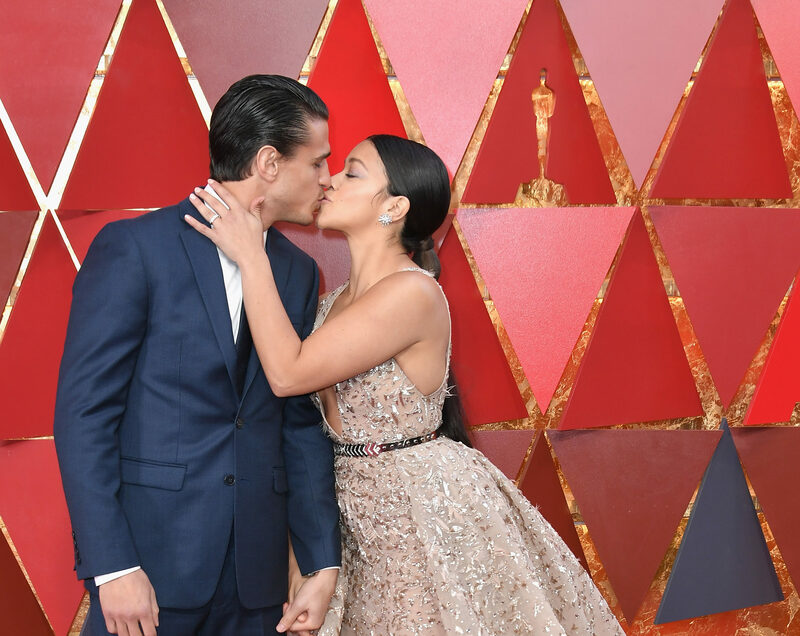 Rodriguez and her boyfriend have been dating since they met on the set of her show back in 2016 and then, a few months later, ran into each other at the gym and noticed they had a spark. We can call that a meet cute, right? 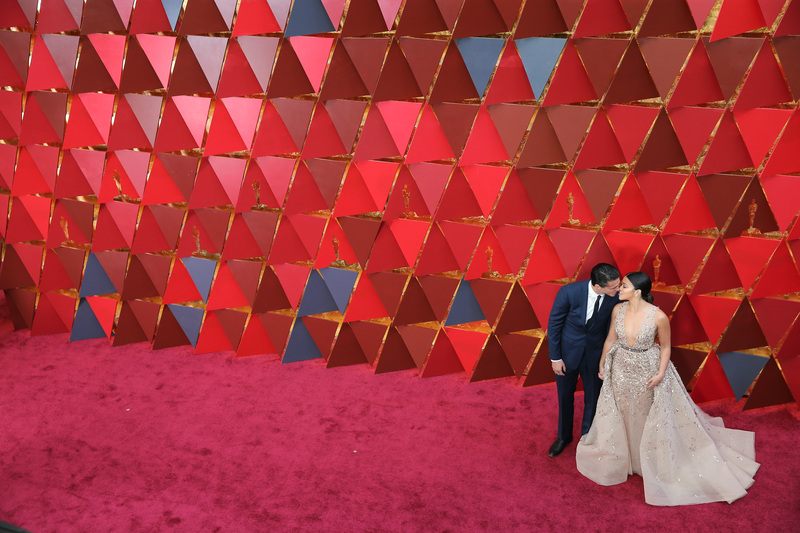 And here we are, in 2018, and these two lovebirds are still going strong, tackling the world (and the Oscars) as a pair. A pair that happens to clean up pretty darn well, if we do say so ourselves. And now, their red carpet shenanigans are giving us all the reason to believe that they’ll continue living happily ever after. Can we talk about how absolutely gorgeous this couple is? This kiss looks like it’s straight out a movie that would be nominated at the awards, y’all. We’d be jealous of Rodriguez if we weren’t so happy for her. We can’t wait to see what’s next for Rodriguez and LoCicero. Whatever the future holds, our fingers are crossed for more photos like these.